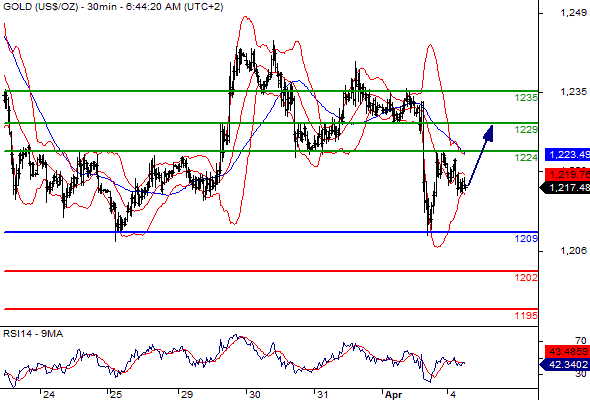 Gold-Oil News – Gold spot Intraday: bullish bias above 1209.00. Most Likely Scenario: long positions above 1209.00 with targets @ 1224.00 & 1229.00 in extension. Comment: a support base at 1209.00 has formed and has allowed for a temporary stabilisation. Most Likely Scenario: short positions below 37.70 with targets @ 35.40 & 34.50 in extension. 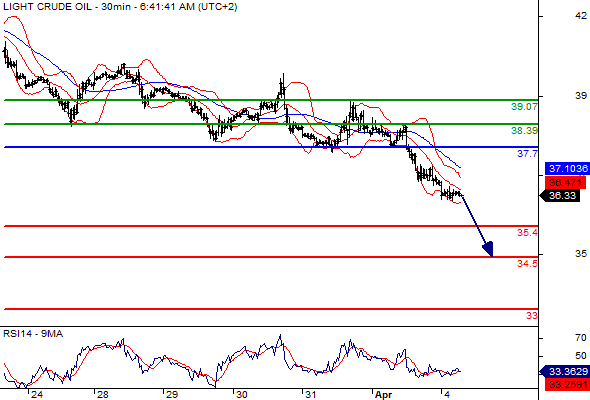 Alternative scenario: above 37.70 look for further upside with 38.39 & 39.07 as targets.